Lena Karpinsky is a contemporary Canadian artist. 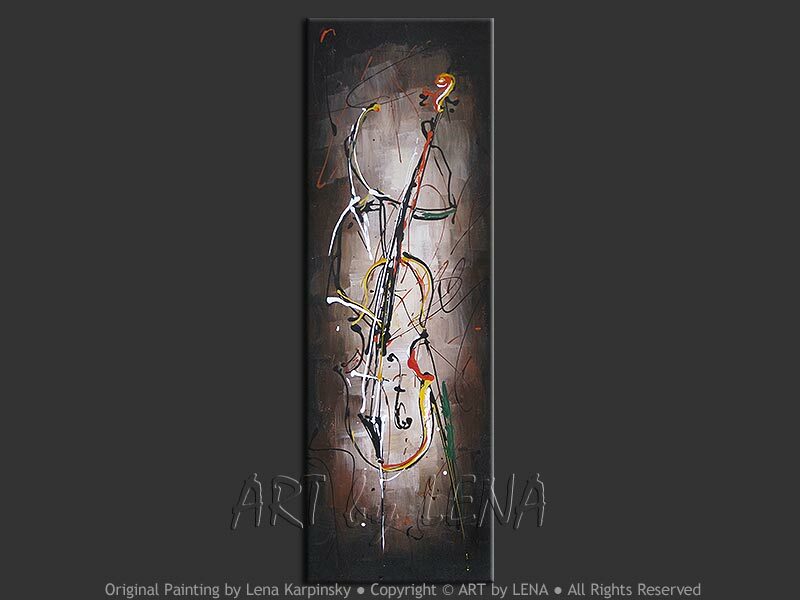 Lena works primarily in acrylic and oil on canvas with Music Art one of her main themes. Lena works from her home studio in Toronto and sells most of her artworks online on www.ARTbyLENA.com. 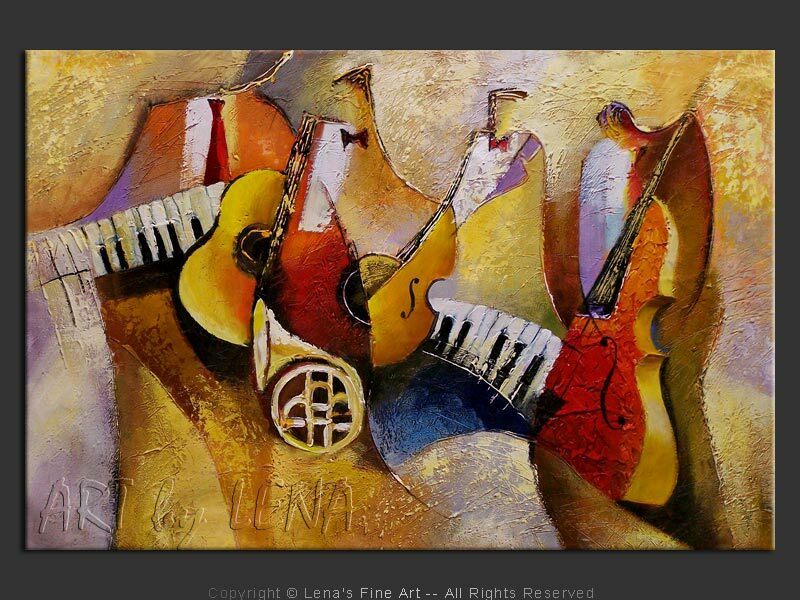 A music instruments painting: piano, guitar, bass, sax and drums. 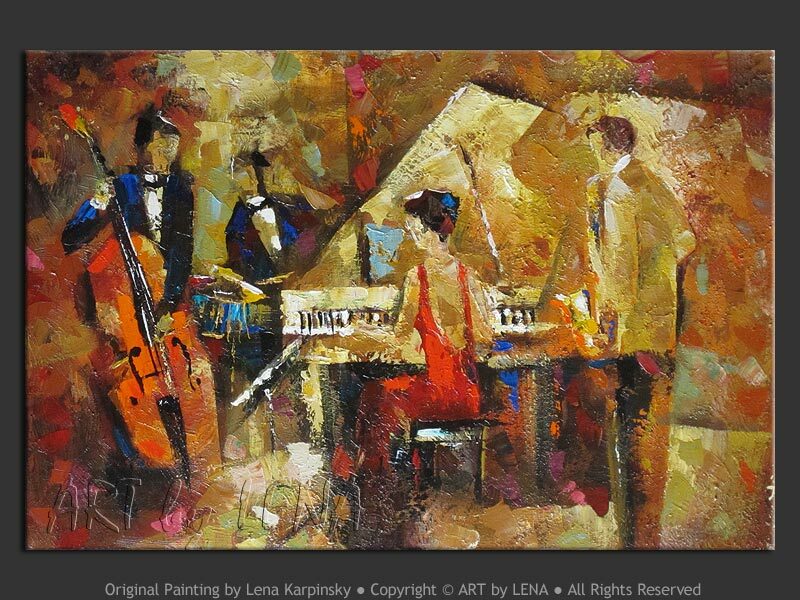 A Jazz painting: Double Bass Player. 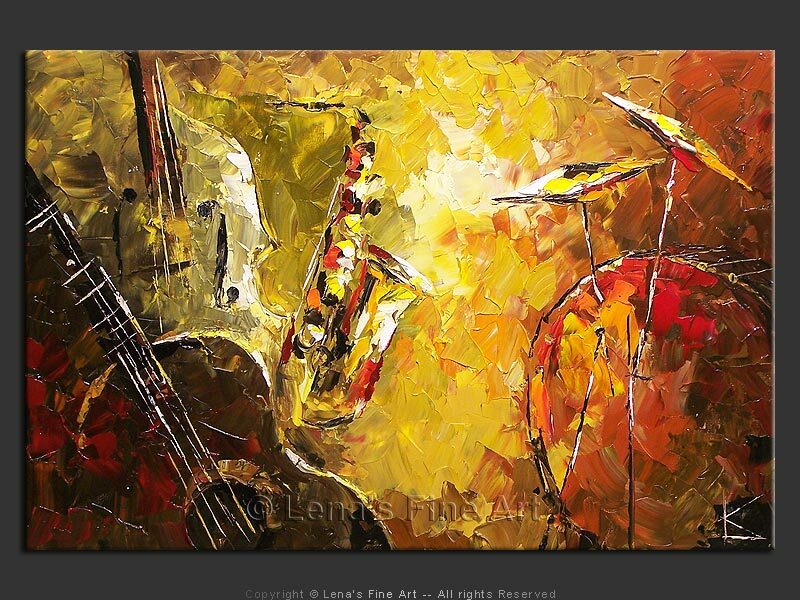 An abstract-expressionist Jazz painting: street musicians playing Guitar, Bass, Saxophones and Drums. 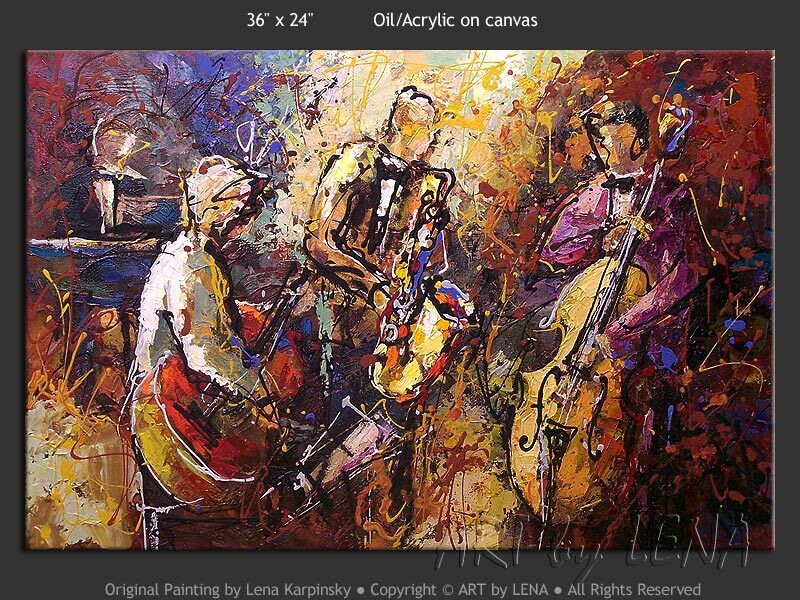 An abstract-expressionist music painting: jazz musicians in a Paris cafe playing Guitar, Bass, Saxophone and Piano. 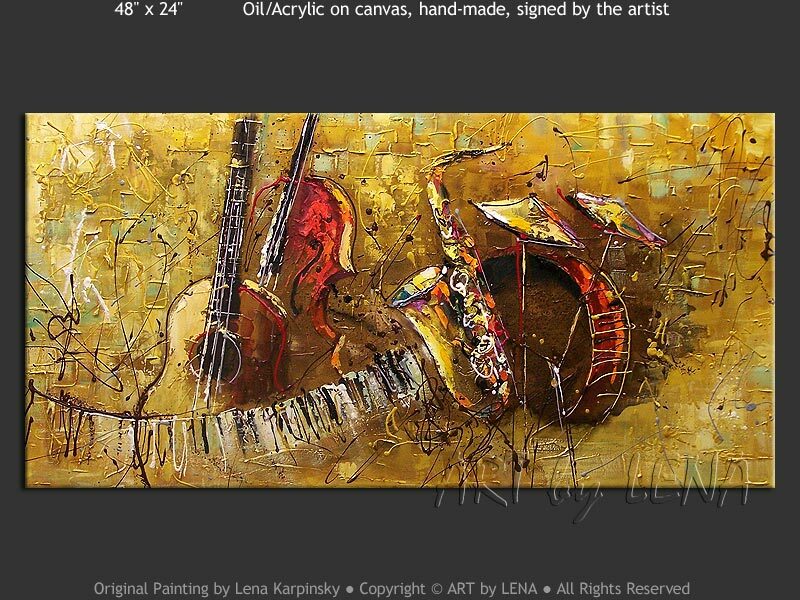 An abstract music artwork: jazz musicians playing Guitar, Bass, Horn, Keyboard. 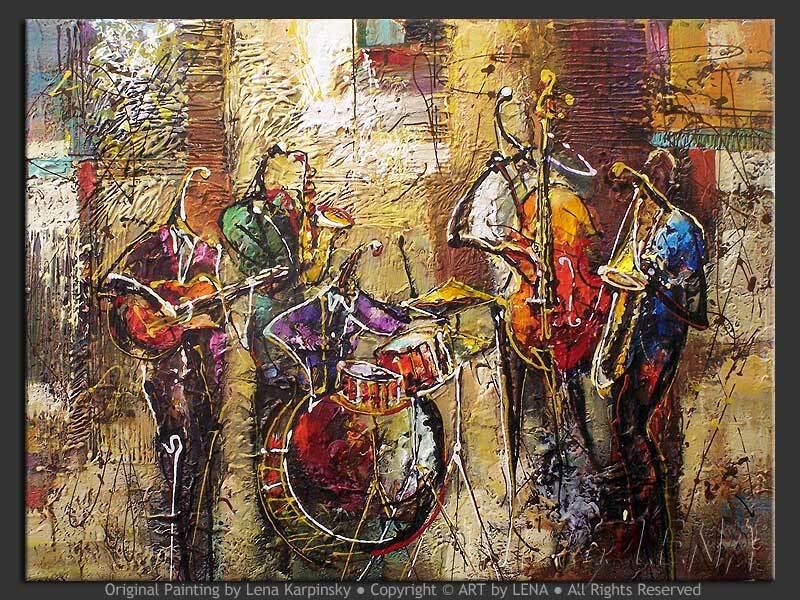 A contemporary decorative painting of jazz music instruments: Guitar, Double Bass, Saxophone and Drums. For link exchange, contact Lena. MUSIC and ART sites only, please.